On a [9d][4c][2d] flop, Ubaib Habib bets out and then 3-bets all-in after Moon Kim raises. Moon makes the call and reveals [Jd][7d] for a flush draw and an overcard, which is virtually a coin flip against Habib's [Qc][9h]. Habib dodges a diamond when the turn falls the [Ac], but he cannot dodge the [8d] on the river. 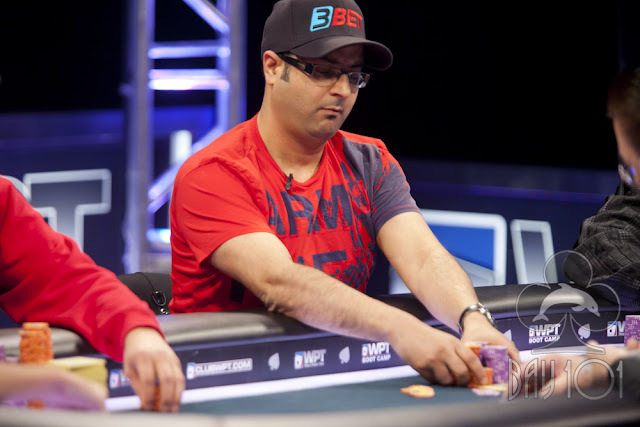 Moon rivers his flush, and Ubaid Habib will collect $570,200 for his 2nd place finish.